The Average Color Of The Universe Is Referred To As? The First Actor To Accept A Razzie Award In Person Was? The color of the universe is beige. 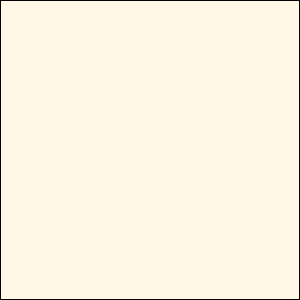 Creamy, heavy on the milk, latte beige, as seen in the color swatch here. Now, you may be thinking “Uhh… when I look outside at night, it looks mostly inky black with maybe a hint of navy blue?” and, in that context, you’d be right. Space looks like a whole lot of emptiness with a lot of pin pricks of white light when viewed with the naked eye. But observations with the naked eye are not how astronomers learned that the color of the universe is a creamy-like-Bailey’s beige. So how did they arrive at the color then? Scientists at John Hopkins University used data from the 2dF Galaxy Redshift Survey at the Anglo-Australian Observatory in New South Wales, Australia to classify the light emitting from over 200,000 galaxies found within two billion light years of Earth. While the brightness of light emitted by all of the observed bodies varied, naturally, the average of all of the light yielded a creamy white color. The hex value for the color, should you wish to use it in a universe-inspired design, is #FFF8E7. But where did the name, “cosmic latte” come from? When the story of the color discovery was reported back in 2002, one of the chief researchers involved in the project, Karl Glazebrook, relayed that they were searching for a name for the color that was anything but “beige”. While multiple submissions were offered, the group settled, by vote, on cosmic latte as a fun name that had a “local” pun packed into it—latte is derived from latteo, which means “milky” in Italian, and we’re making the observations of our milky colored universe from our home in the Milky Way.